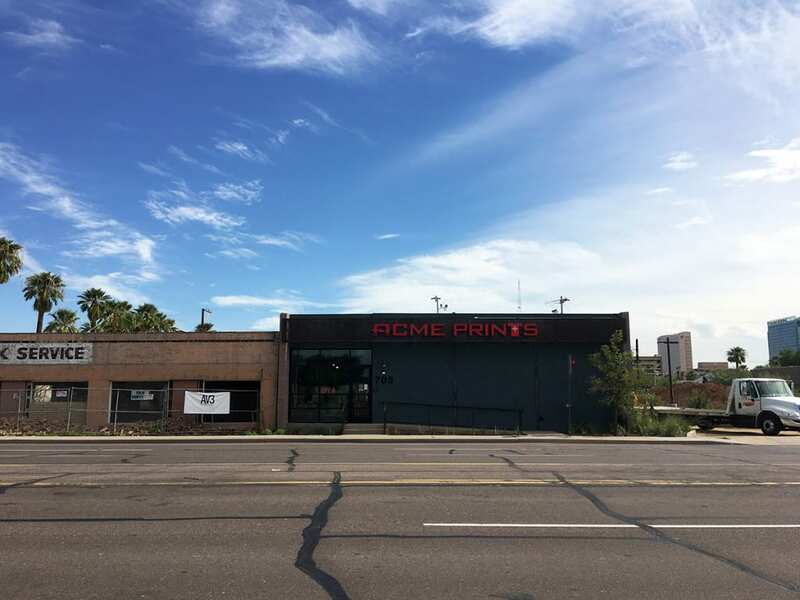 ACME Prints Finds Home, Community in Downtown Phoenix - Downtown Phoenix Inc.
Dan Hargest is a minimalist. 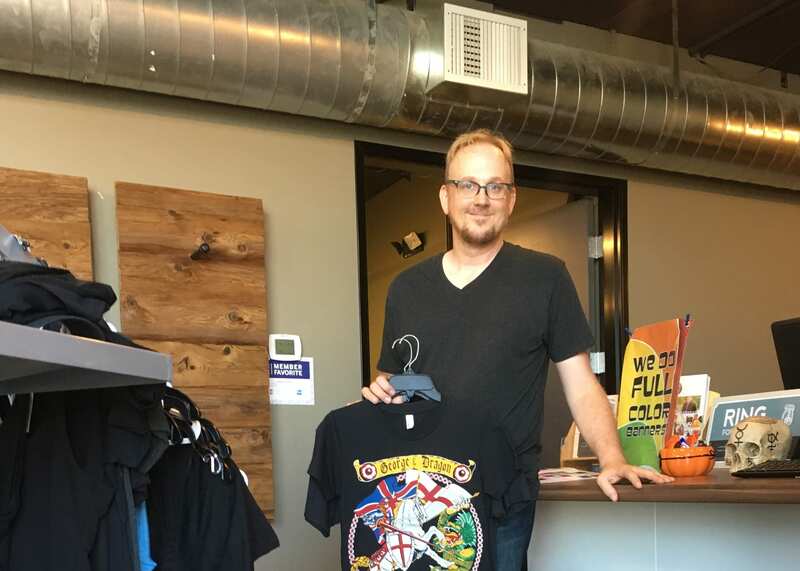 He started screen printing his band’s t-shirts in 1999 in his backyard in Mesa with just a lazy susan, a wood crate and a hot-glue gun for materials. Seventeen years (and a lot of practice) later, Hargest now owns and operates ACME Prints full-time, with better equipment, a growing portfolio of client work, and new digs inside a remodeled, 6,900-square-foot warehouse on Seventh Avenue and McKinley Street. 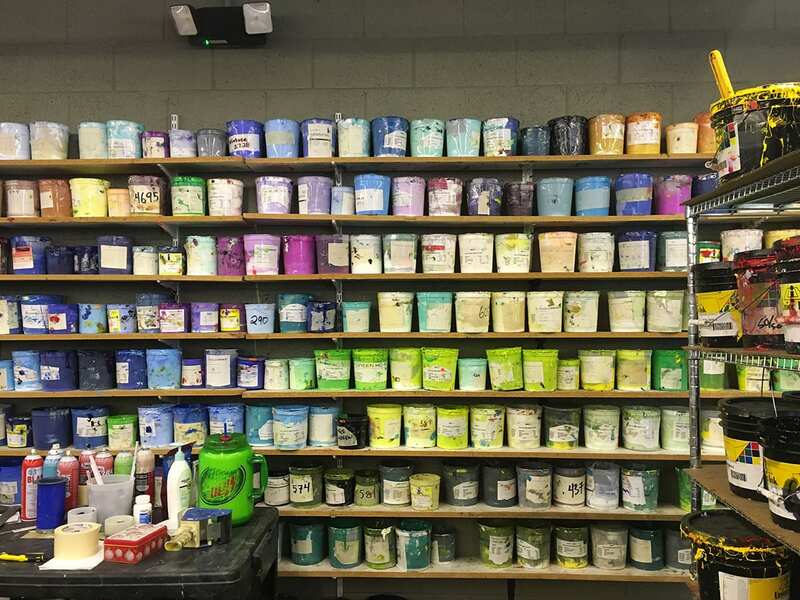 The custom screen-printing company creates everything from t-shirts to posters to stickers. And though screen printing can have negative effects on the environment, he said they emphasize eco-friendly printing methods and materials. ACME Prints officially became a business in 2001, the same year Hargest’s employer issued company-wide layoffs. “It was the best thing that ever happened to me,” he said. Originally from Pittsburgh, Hargest moved to the Phoenix area in 1994 — when downtown was a much different place than it is today. “I was actually pretty clueless about Downtown Phoenix. When Kimber Lanning opened up Modified Arts (a current art gallery and former music venue), I was like ‘Phoenix? '” he said. But people are proud of the transformation that’s taken place, Hargest said, and downtown has an incredible energy because of it. Since moving into his new location, he’s been impressed by the level of community involvement, plus the number of people who are very intentional about supporting local and environmentally-friendly businesses. ACME Prints never really intended to move downtown. They spent over a decade in the East Valley, but decided to relocate when their lease ended in Tempe and local property owner Chuckie Duff offered to build out a space for them. Duff owns four other buildings adjacent to ACME Prints’s new location, including two historic homes, a small office/retail space, and an old tax service building, which still bears the original sign on the front. All except one property was either vacant or being used for storage. All four are available for lease. “The great thing about Chuckie is he could tear down these buildings and put up a parking garage, but he chooses to renovate cool, old buildings and then he finds people (businesses) that will fit,” Hargest said. Duff worked with AV3 Design Studio to reimagine what each building could be — a bike shop, a design studio. 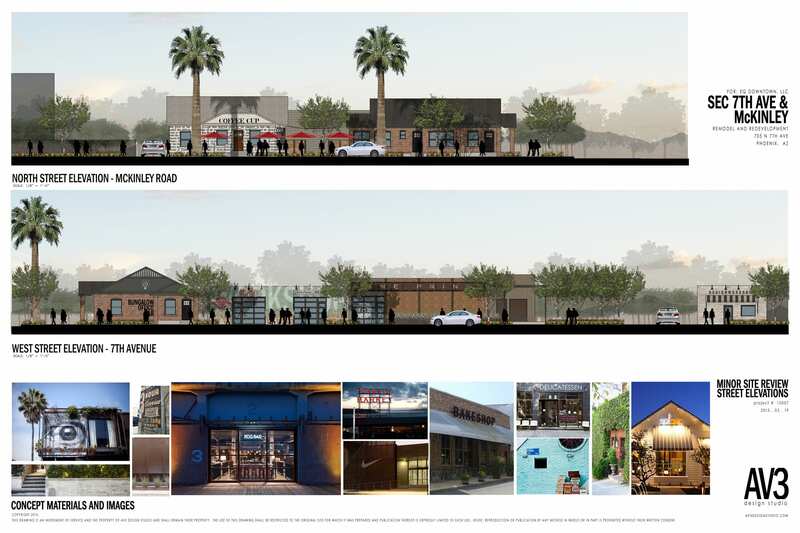 Though the designs are simply conceptual, he said he’s looking forward to activating all of the buildings and adding a nice mix of retail or office space to the neighborhood. Hargest’s first month inside the new building was nothing if not eventful. “Every day was a nightmare, it got to a point where it became funny, he said. “Power started going out randomly. A truck (for deliveries) stalled in the middle of the intersection. In fact, on their very first day, a piece of hot machinery set the roof ablaze. Though there were no injuries and no equipment was damaged, the fire left a hole in the roof the same night a huge monsoon hit, causing the entire place to flood. But things have since quieted down.